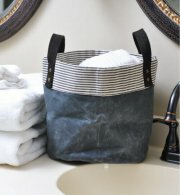 Stock your bathroom or linen closet with CB Station's Luxury 100% Cotton Towels! The average bathroom doesn't only have Bath Towels, but at least one Face Towel (washcloth), Hand Towel, and Bath Mat too. plus endless ways to personalize them. Build your own set by purchasing each item in individual style sets or choose from one of our complete bathroom towel sets! 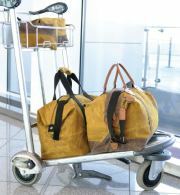 100% Luxury Cotton. Unmatched Quality Blanks. Face Towel: 13" x 13"
Bath Mats: 21" x 34"
As mentioned, we have many different types and sizes of towels including Hand Towels, Bath Towels, Face Towels and Bath Mats. What makes them different? Our Bath Towels are large enough in size to easily wrap around yourself as you dry off after taking a shower or a bath. Our Hand Towels are medium sized towels, much smaller than our Bath Towels but larger than the Face Towels, that are used for drying your hands after washing them. 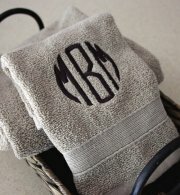 Often times, these are the most commonly monogrammed of all the styles because it can serve as a functional decorative towel. A Face Towel is the smallest of our towels, and can be used both in and out of the shower or bath, primarily to wash your body and face. 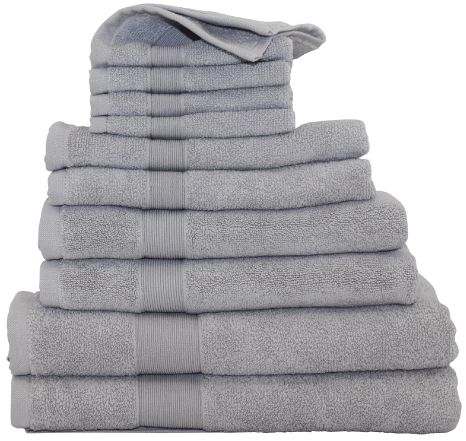 You can purchase our towels in individual sets, but your best value is to buy the eight-piece set together. 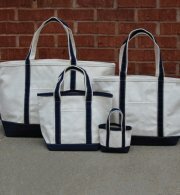 The set will give you a coordinated look for less! 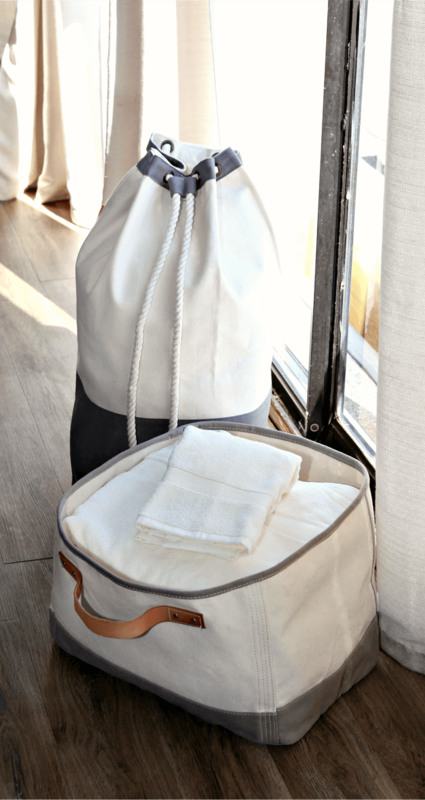 By choosing a towel set, you're not only ensuring the look of your towels are coordinated in style and appearance, but making it easy to complete a one-time purchase for replacing multiple ypes of towels in a bathroom or linen closet. It's not uncommon to find a towel set that includes Bath Towels, Hand Towels, and Face Towels - this is simply the easiest way to cover all of our bathroom towel needs with one purchase. All of our Towels are constructed of extra absorbant luxury 100% cotton, 460 gram weight, feature a Solid Dobby Weave, and are Oeko-Tex Certified, which is the definitive mark of excellence for products that are healthy for use and environment. It's easy to update the look of your bathroom or replace the worn items in your linen closet with fresh towels. Our 100% Cotton Luxury Towels selection features a wide variety of colors, textures, and embroidery options to explore - making it easy to create a unique look or add a personal touch. By adding a monogram or name, you instantly add more value to these products, as well as making them more meaningful gifts for all occasions; baby shower gifts, wedding shower gifts, and/or graduation gifts.